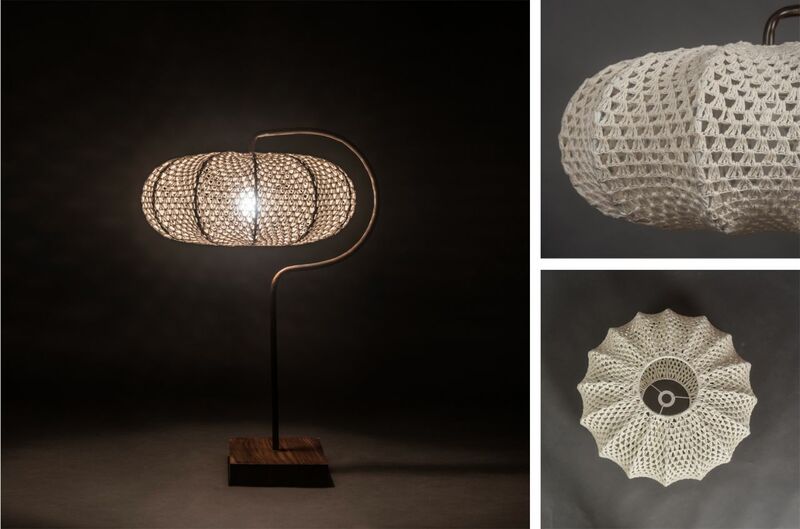 This artistic table lamp is a swell addition to a modern home. 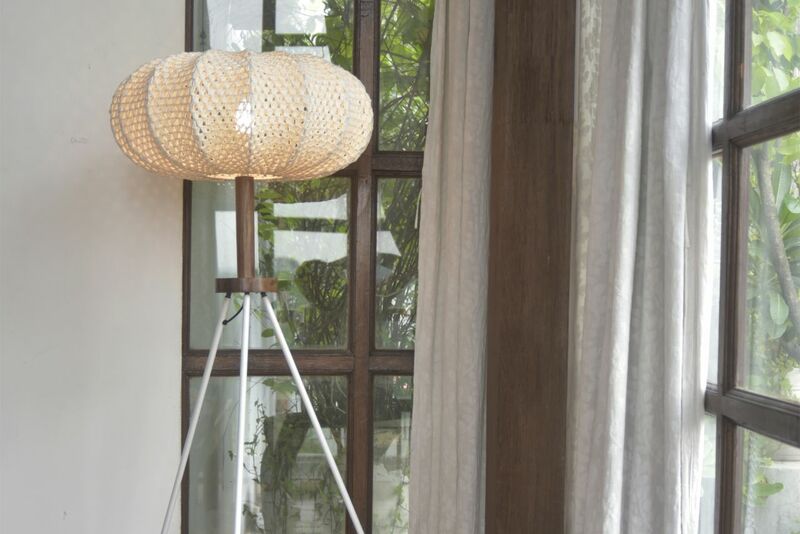 The lampshade is handcrafted in luxurious crochet while the P-shaped iron bar gives perspective and the sheesham wooden base keeps it subtle. Use a dim yellow Led bulb to add a warm glow to your interiors or a clear incandescent bulb to accentuate shadow patterns if you prefer to create drama. 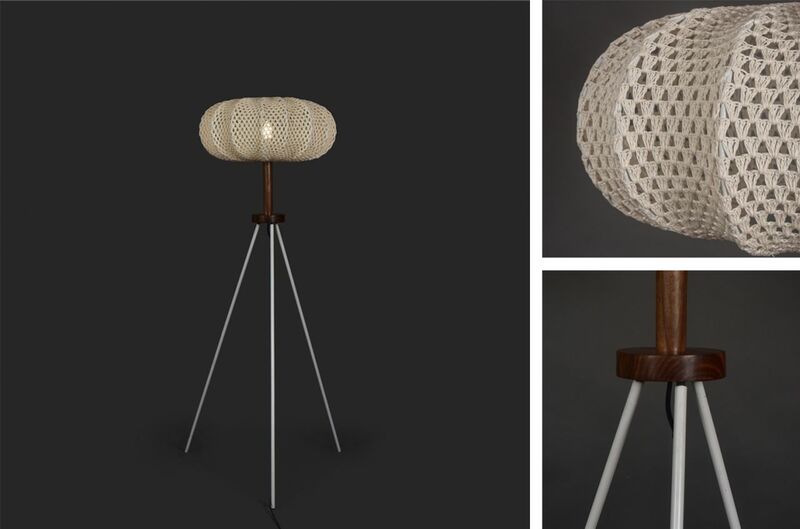 This contemporary tripod floor lamp adds oodles of style to living spaces. 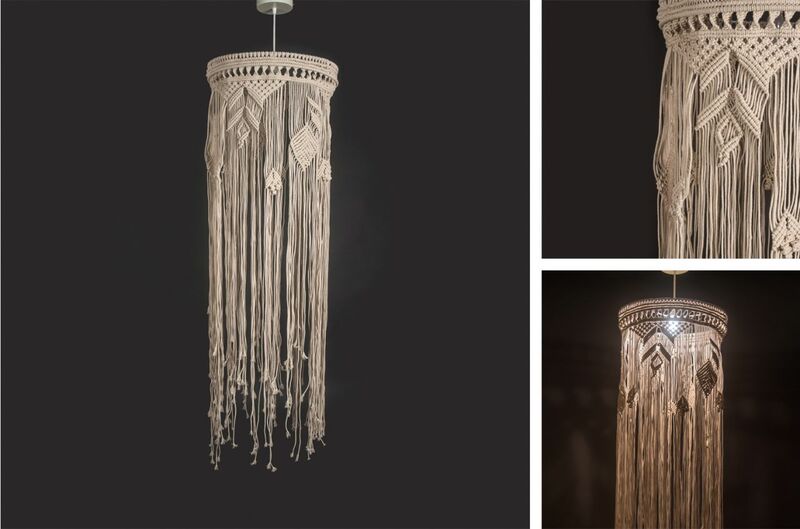 The lampshade is painstakingly handcrafted in luxurious crochet while the sleek wooden neck is shaped from high-quality wood. 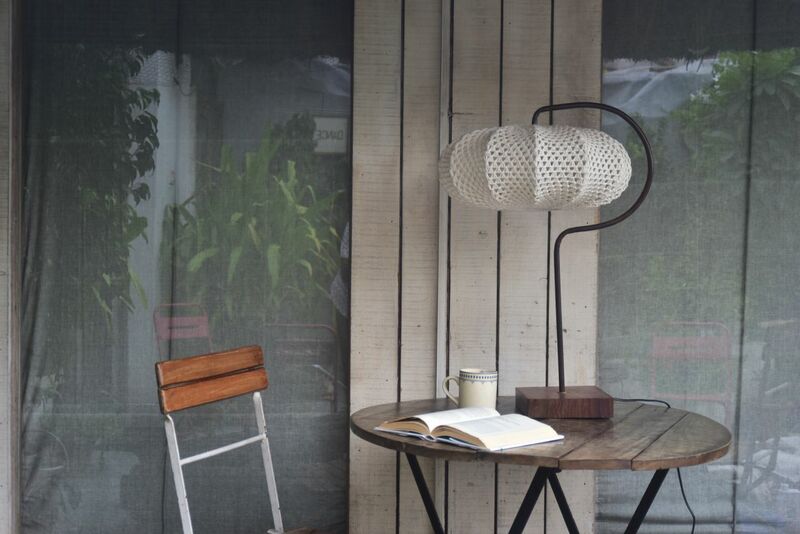 The white iron tripod base lends it a sophisticated charm. 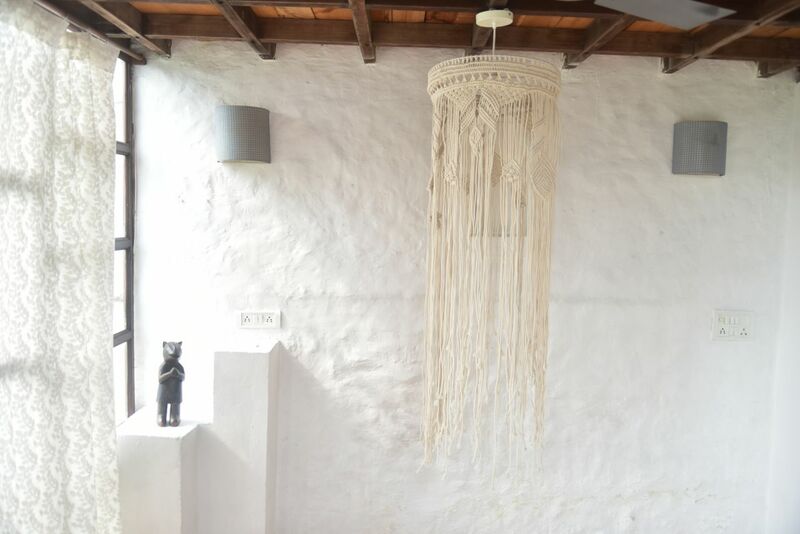 This macramé lamp is trendy, 100% hand-made by rural artisans and inspired by the ancient jewels. 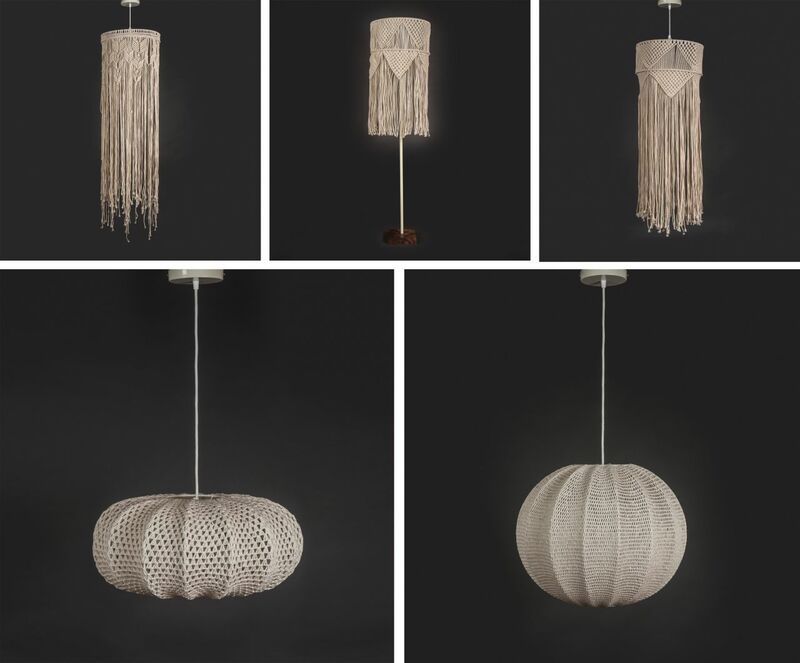 The ivory lampshade is evocative of laid-back archipelagos and white sandy beaches. Hang it in a corner, centre or off-centre and see a room come alive. Together these small and cozy crocheted luxuries with fun and stylish macramé will adorn your home with hints of rich traditions and a unique contemporary look.